Frederick A. Cole had a long and distinguished career on the railways including a period at Worcester from 1964 until he retired as Area Manager in 1979. The MIAC is pleased to have been given permission to publish some photographs from his extensive collection. These photographs include some that were given to him by grateful railway enthusiasts who have mostly chosen not to credit themselves on the photographs. If we have inadvertently breached your copyright please let as us know and we will credit as appropriate or remove the photographs. Fred was born on 5th November 1920 and died on 5th September 2010. This photograph was taken from Railway Walk and shows a pair of Class 35 'Hymek' locomotives outside the old Boiler Washout shed at Worcester on 21st July 1966. To the left hand side of the locomotives is the trackbed of the recently closed Coal Drops branch line. 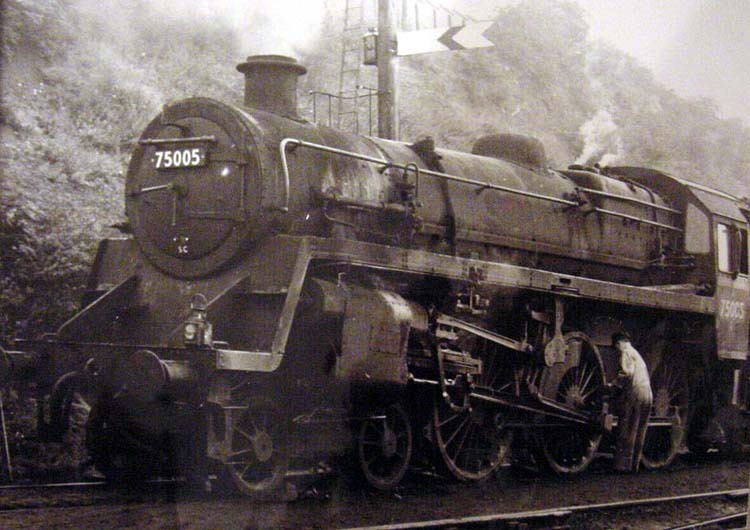 This is Standard Class 4 4-6-0 No.75005 in the summer of 1965. 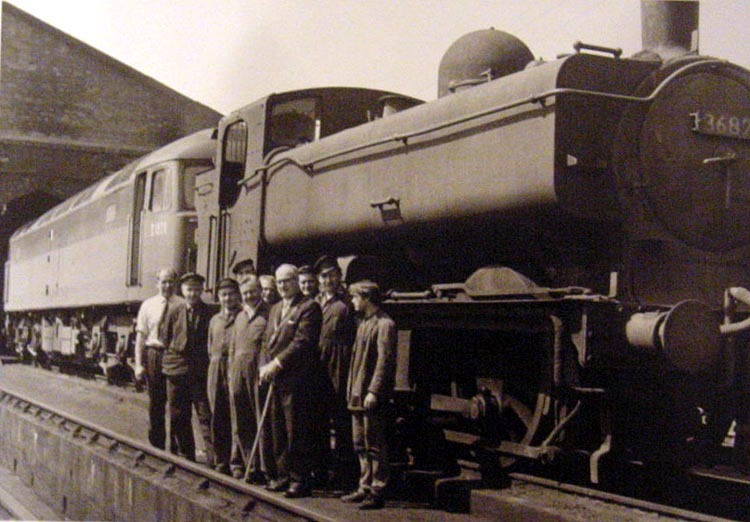 The locomotive was based at Worcester from June 1965 until crashing at Leamington on 14th September 1965. 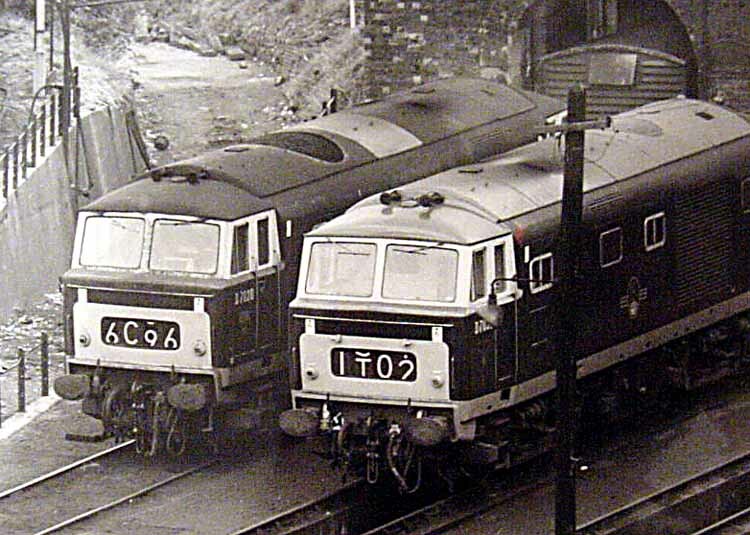 It was then withdrawn from service and was later hauled to South Wales for scrap. This photograph was taken on 17th September 1965 and shows preserved former GWR locomotive No.1420 on the traverser at Worcester Works after restoration. Two days later the locomotive left for Devon. Brian Penney has identified the person on the left in the light coloured jacket as being Don Green who at this time was Works Manager and was subsequently Area Maintenance Foreman in the diesel era until retiring in the 1980s. This historic photograph (used by permission of the Worcester Evening) News shows pannier tank No.3682 coupled to Class 47 No.D1928 that was to tow it and three other steam locomotives (Nos.4680, 9626 and 6147) to Newport for scrap. The date was the 5th May 1966. 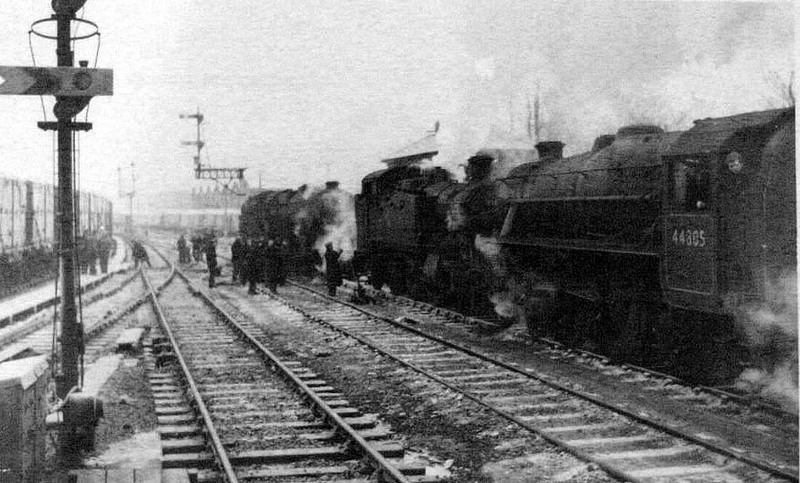 These were the last four of Worcester's allocation of steam locomotives to be despatched to the scrap yards. 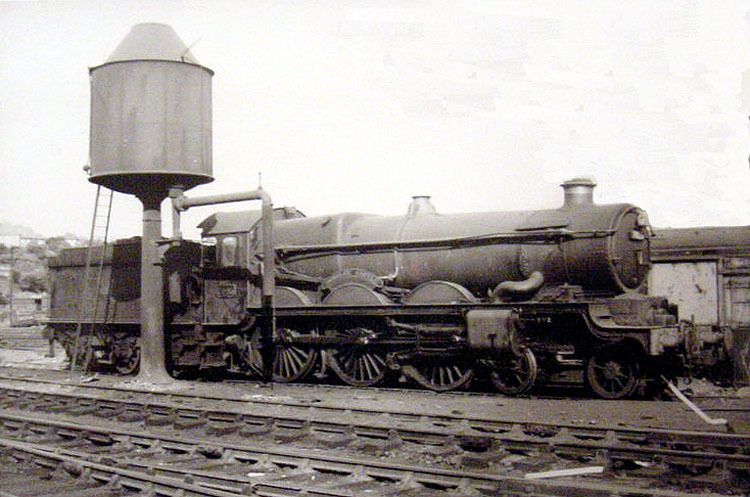 No.3682 had been used on the last day of steam operation at Worcester on 31st December 1965. Mr Cole joined the Great Western Railway in 1936 at Aberbeeg and from there he moved on to Tredegar. From Tredegar he moved to Gloucester (Barnwood) depot. When this was merged with Horton Road, he was offered the opportunity to move to Worcester. There was a vacancy at Worcester from the middle of 1964 because Mr Harry Cureton had retired. Mr Cole took up the position of Locomotive Depot Master. He later became the Area Manager until he retired in July 1979. Mr Cole had an office that was alongside the Goods Engine Shed just around the corner from the roster board. He also had responsibility for Bromsgrove and Honeybourne sheds. 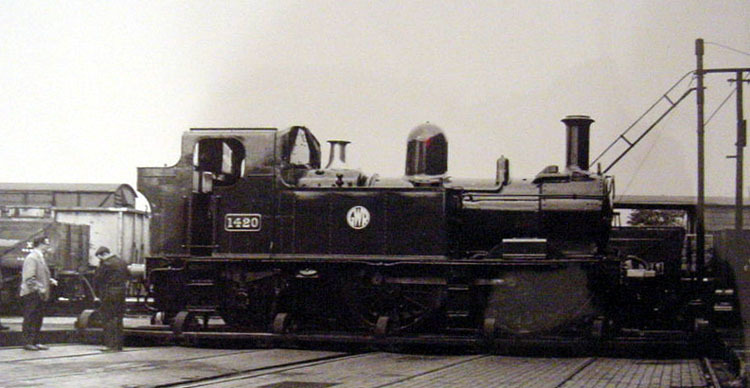 According to Mr Cole's records this photograph was taken in December 1963 and shows No.44805 off the rails. The location is the west end of Worcester Shrub Hill Station with the former Midland Railway Goods Shed in the background. No.44805 was allocated to Saltley Shed. This is 'Castle' class 4-6-0 No.7025 'Sudeley Castle' alongside the water tower at Worcester Loco Sheds. It was probably taken in the summer of 1964 shortly before the engine was withdrawn from service. 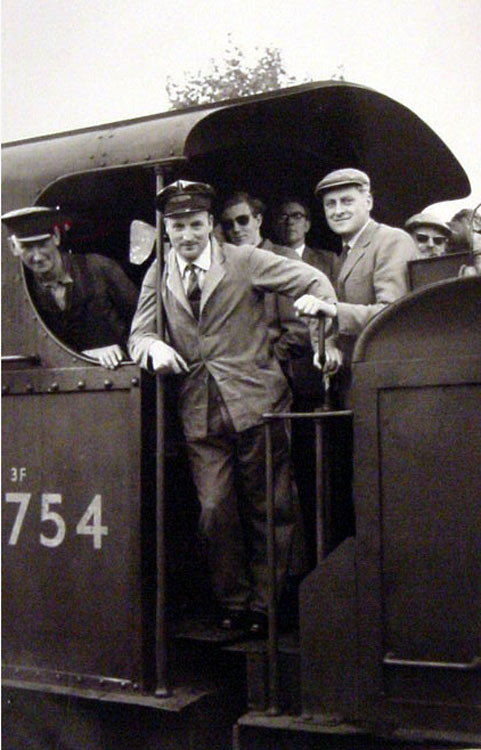 This photograph was taken on Friday 12th August 1961 and shows the crew of the very last passenger train from Tewkesbury to Upton upon Severn. The loco was the regular engine for the branch being former Midland Railway 0-6-0 No.43754 (thanks to Robert J. Keegan for additional information). The MIAC does not know who took any of these historic photographs as none were credited. We have therefore been unable to seek permission from the copyright holders for the use of their material.